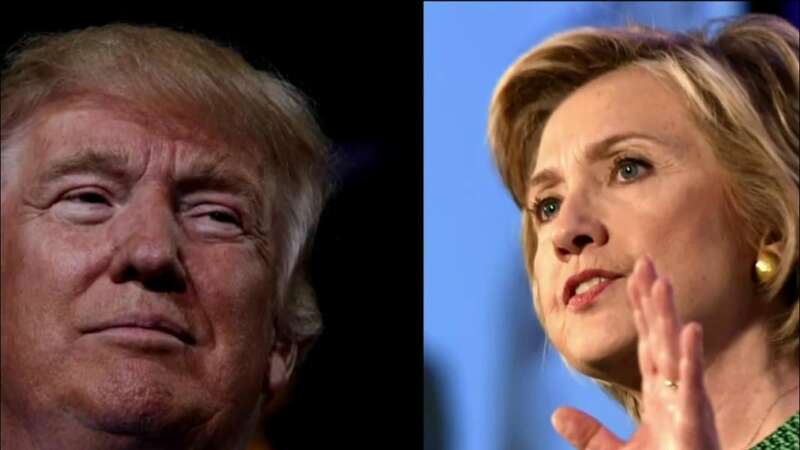 Donald Trump championed the news that the FBI is reviewing additional emails "pertinent" to previous investigations into Hillary Clinton's private email server as a game changer on Friday. "This changes everything," he said to roaring crowds on the campaign trail that interrupted him with chants of "lock her up." But much of Trump's rhetoric about the Clinton emails is riddled with errors, while the Democratic nominee herself obscured how the news of the additional email review was released. We fact checked everything both candidates said on Friday, and will continue doing so here. Here's what they got right — and wrong — when talking about the FBI and the former secretary of state's emails. “The FBI, after discovering new emails, is reopening their investigation into Hillary Clinton," Trump said in Lisbon, Maine, and Cedar Rapids, Iowa, on Friday. False. This is not a reopening — as a technical matter, the case was never closed. The FBI said they were reviewing emails that "appear to be pertinent" to previous investigations into Clinton’s use of a private email server, but noted "the FBI cannot yet assess whether or not this material may be significant." “This is the biggest political scandal since Watergate," Trump said at his rallies Friday. Hardly. Bill Clinton was impeached by the House of Representatives for lying under oath about an affair he had with an intern; no one has found Hillary Clinton guilty of a crime to date. “In brief remarks tonight, Hillary Clinton tried to politicize this investigation by attacking and falsely accusing the FBI director of only sending the letter to Republicans. Another Clinton lie. As it turned out, the letter was sent to both Republican and Democratic leaders in Congress," he said in Cedar Rapids, Iowa. Clinton said the letter is "only going originally to Republican members of the House," which is not true. The letter was directed at Republican Congressional Committee chairmen and copied to ranking Democratic members, so Trump is right that she’s blurring the facts to imply politicization. That said, he has spent weeks politicizing the previously completed FBI investigation as "rigged" and part of a global conspiracy. “The FBI would never have reopened this case at this time if it were not a most egregious criminal offense," Trump said in Cedar Rapids, Iowa. There is absolutely no evidence of this. "We have not been contacted by anyone. First we knew about it is, I assume, when you knew about it, when this letter sent to Republican members of the House was released," Clinton said on Friday. As noted above, the letter was released to the Republican Congressional Committee chairman — in both the Senate and House — and copied to ranking Democratic members. “To further cover up her crimes, she bleached — which nobody does because it’s so expensive!” Trump said in Colorado on Saturday. There is no evidence that Clinton used a private server to hide criminal activity. Clinton’s team used a free application called BleachBit, which has been downloaded millions of times, to clear space up on the server. There is no evidence she did so to cover up anything. “She bleached and deleted 33,000 emails after after, after after — right? — receiving a congressional subpoena. So she gets the subpoena, and she says we better get rid of this stuff. Thirty-three thousand emails. She made 13 phones disappear, some with a hammer, she lied to Congress, lied to the FBI on many occasions, and recently it was revealed, two boxes of email evidence went missing," Trump said in Colorado. Trump's order is off here: Clinton’s staff deleted those emails after the subpoena, but she had asked them to do so before the Congressional subpoena. She did not stop their deletion, however. The FBI says she did not lie to them. Top Republicans argue she lied to them, but legal analysts say it would be hard to prove perjury and no criminal probe has been opened despite those Republicans' request. She did use 13 mobile devices during her time as secretary of state and several were destroyed with hammers. Two boxes of evidence did go missing. “Her criminal action was willful, deliberate, intentional and purposeful. Hillary set up an illegal server for the obvious purpose of shielding her criminal conduct from public disclosure and exposure," Trump said in Colorado. Clinton has said she used a private email server to avoid carrying multiple phones. The FBI review found extreme carelessness, but did not find evidence of a crime, willful intent to hide or obscure information, or evidence of criminal activity. She has also not been found to have participated in criminal conduct. “I think some of these 33,000 were captured yesterday," Trump said to large cheers. We just don’t know yet whether new emails were obtained or previously reviewed by investigators. “Well they found a lot of emails that were never given. And now it was just revealed there were over 10,000 that they just found. And these, I assume, were never revealed. You’re supposed to give your emails," Trump said. Again, we don't know yet how many emails were found by the FBI this week — some reports have said thousands. It is true however that cabinet secretaries are supposed to archive their emails with the government. “It is pretty strange, it’s pretty strange to put something like that out with such little information right before an election. In fact, it’s not just strange," Clinton said Saturday in Florida. It is unprecedented and a departure from ordinary bureau policy to comment in this way. Trump has misled on this story, but Clinton has also blurred facts on the issue. "Hillary is the one who set up a private illegal email server," Trump said on Monday in Michigan. Simply using a private email server is not illegal and there was no rule against it when Clinton was at the State Department, though it is surely ill-advisable due to the complications that later arose. It's what Clinton did with those emails — using that same email address for personal and professional correspondence and not storing all her work emails to properly comply with federal record management, that brought on the FBI investigations. "Hillary is the one who engaged in a corrupt pay-for-play scheme at the State Department," he continued in Michigan. There is no evidence that Clinton engaged in any "pay-for-play" operation. "Hillary is the one who sent and received classified information on an insecure server, putting the safety of the American people at threat," he said in Michigan. Clinton did send classified information on her email server, including some that was improperly marked and some that was later upgraded to be classified. That said, the problem is not her server itself: Her email would have been certainly hacked if she were using a State Department email account, experts say. This is why government officials often use a separate closed system to transmit classified material. “We can be sure what’s in those emails is absolutely devastating," he said in Michigan. There is no evidence of this of this. We do not yet know what is in those emails, only that they were obtained by the FBI and are being reviewed. Clinton said the FBI investigation into her use of a private server wasn't "a close call" on Monday. She's right. Comey said "as painful as it is for people sometimes, this was not a close call." Editor's note: An earlier version of this article misstated the details of Bill Clinton's impeachment.